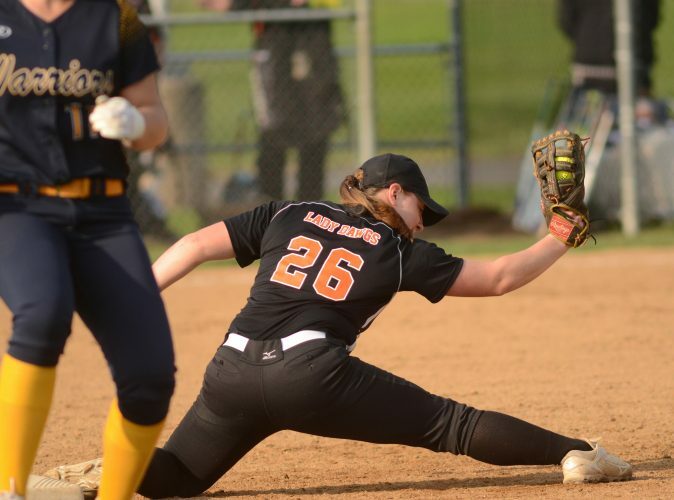 L. Catholic road to quarters: In District 3 tournament, beat Annville-Cleona, 5-1, and Oley Valley, 6-0; in states, beat School of Sciences, 10-0. Scouting L. Catholic: The Crusaders are rolling into the quarterfinals, having won 11 straight games and romping their way through three straight playoff wins. Lancaster Catholic is a confident team that was talking state championship following Tuesday’s opening-round win. Catholic won its third straight Lancaster Lebanon Section title and won a second straight District 3 championship after doing so in Class AA last year. The Crusaders have a strong core back from last year’s team that lost 5-1 to eventual state champion Neumann-Goretti in the opening round. Left-handed pitcher Dillon Marsh is one of the state’s best and the junior will pitch at Kentucky in two years. Marsh verbaled to Wake Forest as a freshman but is bound for Kentucky now and has put together a fantastic scholastic career, going 14-4 with a 1.12 ERA and 182 strikeouts in 112 2/3 innings. Marsh is 5-2 this season with a 1.68 ERA and 82 strikeouts in 41 2/3 innings. The 6-foot-2, 215-pounder throws in the upper 80s and has topped out at 90 while also featuring a good curveball and changeup. Marsh is one of several quality hitters in the lineup and had a two-run double Tuesday against School of Sciences. Fellow left-handed pitcher Nick Breznak threw a one-hitter in the five-inning win and is 5-1 with a 2.72 ERA and 32 strikeouts in 36 innings. He remained eligible to pitch in relief today if needed. Casey Regan helps spark the offense and is hitting .469 with 15 runs and 13 RBIs. Tyler Peters is batting .432 and had two hits and three RBIs Tuesday. Bayley Jamanis is hitting .373 with 18 RBIs and Bryan Downey is batting. 381 with 16 stolen bases. Catholic plays good defense and has made just 15 errors this season. Loyalsock road to quarters: In District 4 tournament, beat Mount Carmel, 5-0; Danville, 11-3, and Central Columbia, 6-0; in states, beat Lakeland, 5-0. Scouting Loyalsock: The Lancers are making their seventh state quarterfinal appearance since 2008 and their fourth in five seasons. Loyalsock has won six straight games and has outscored four playoff opponents, 27-3. Logan Edmonds and Larry Van Stavoren combined on a two-hit shutout against Lakeland with Edmonds throwing five innings of no-hit baseball and striking out nine. Center fielder Hunter Webb went 3 for 3 and finished a single shy of hitting for the cycle. Van Stavoren continued his big senior season and went 2 for 4. Van Stavoren leads the team in hitting and has three straight multi-hit playoff performances. Third baseman Ryan Fink has been playing strong defense and is 3 for 6 over the last two games with an RBI. Catcher Eric Holz has reached base four times in those games and is a big reason the pitching staff has performed so well. Chase McNulty has enjoyed a breakout season and went 2 for 4 against Lakeland. Shortstop Connor Watkins went 4 for 7 with two doubles and three RBIs in Loyalsock’s first two playoff games. Pitcher Andrew Malone is 6-0 and threw shutouts against Mount Carmel and Central in districts. He also is 3 for 8 with two RBIs in his last two playoff games. Loyalsock edged Lancaster Catholic, 3-2, in the 2008 state quarterfinals en route to capturing its first state championship. West Allegheny road to quarters: In District 7 tournament, beat Plum, 7-0; Montour, 10-9, and Moon, 12-2; in states, beat Lower Dauphin, 5-4. Scouting West Allegheny: The Indians captured their first WPIAL (District 7) championship after rallying from a four-run, seventh-inning deficit to stun Montour in the semifinals and carrying that momentum into the district final. The roles were nearly reversed in Tuesday’s state tournament opener. West Allegheny took a four-run first-inning lead against Lower Dauphin, but needed Taylor Cummings’ walk-off single to win it in the bottom of the seventh inning. Lower Dauphin played in Williamsport in April with Milton beating it, 10-2, and the Falcons defeating Montoursville, 5-2. West Allegheny has just three seniors but still is a fairly experienced team that reached last year’s state quarterfinals. 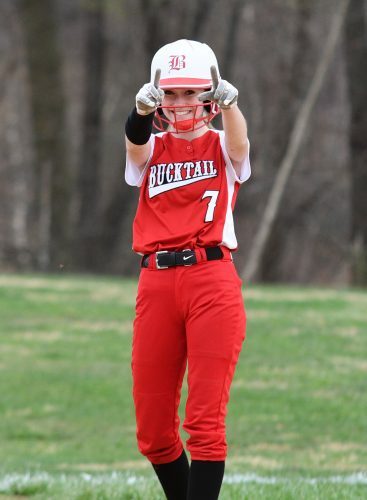 Pitcher Ashley Seamon scattered eight hits against Moon in the district final and also went 2 for 3 with four RBIs. Freshman Savannah Lewis went 2 for 4 in that game with a two-run double and Alyssa Sisko added a two-run double. West Allegheny started the season 18-0 before losing to Chartiers Valley, 4-2. Central Mountain road to quarters: In District 6-10 subregional, beat DuBois, 6-1, and Meadville, 14-0; in states, beat Albert Gallatin, 11-1. Scouting Central Mountain: The Wildcats might be the surprise team in the state quarterfinals, heating up at the perfect time after struggling at times during the second half of the regular season. Central Mountain has outscored three playoff opponents, 31-2, and has mercy-ruled consecutive teams. It also has 30 hits in its last two games. Josie Dershem has five hits and five RBIs in those wins and was 3 for 3 against Albert Gallatin. Winning pitcher Caitlyn Brush and Morgan Wetzel were 2 for 3 with two RBIs in that win. The hitting has been balanced and Skylar Smith was 3 for 4 with two RBIs in the district championship while Maegan Miller went 2 for 2 with three RBIs. Brush threw a seven-hitter in Monday’s win and a five-hitter against Meadville. Central Mountain captured its second straight HAC-I championship and started the season 9-1. Winner plays: Lampeter-Strasburg or Bishop Shanahan.